In 1997, Saban Entertainment, the company behind hit Japanese-based children's shows such as Power Rangers and Digimon, dubbed the magical girl parody anime Pig Girl of Love and Courage: Tonde Burin (愛と勇気のピッグガール とんでぶーりん Ai to Yūki no Piggu Gāru: Tonde Būrin) into Super Pig. Despite being dubbed by an American company, the English dub is only known to have managed to air overseas in Australia, New Zealand (on TV2) and the United Kingdom, where it aired on Fox Kids for just two days. Like most English localized Anime, Saban's adaptation was used as the basis for a few other international dubs of Tonde Burin, including the Latin American dub that is known to have aired in South America. Some episodes of "Super Cerdita" (the Spanish dub of the show) have been uploaded to YouTube. From 1998 to 1999 the Saban dub aired in the Netherlands on Fox Kids with Dutch subtitles, from 2003 to 2004 a Dutch dub based on the Saban dub also aired on Fox Kids. In Poland, a Polish dub based on the Saban dub aired on Fox Kids and TVN. A few episodes with a Russian voice-over over the English dub track were uploaded to YouTube, but a track featuring only the English audio has yet to be found. Dutch and Polish episodes can be found on the internet and YouTube. An episode list of the Saban dub with English, Dutch and Polish titles can be found on Wikipedia. 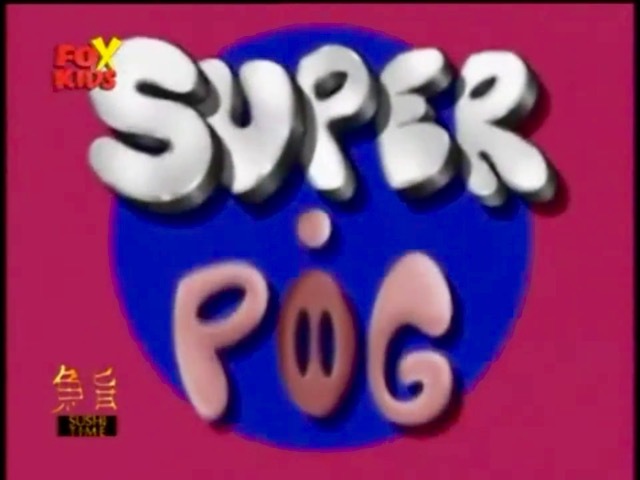 The intro to the Saban version of Super Pig. Credits/ending to the Saban version of Super Pig.